Leaders of BRICS nations agreed, at the summit last month in Ufa, to more actively cooperate in the sphere of space technology, satellite navigation and research. This partnership is most likely to be largely driven by commercial necessity. At the BRICS Summit in July in Ufa, Russia, heads of state and government from the five member states of this bloc agreed to “actively engage in the joint application of space technologies, satellite navigation, including GLONASS and BeiDou, as well as the latest achievements in space science.” A look at what lies behind this decision, and what the prospects are for such cooperation. Most analysts are of the view that joint collaboration between the five countries on the development of space does not look very bright at the moment. Brazil, Russia, India, China and South Africa (BRICS) come from vastly different initial conditions. At the beginning of the space age, each year saw breakthroughs, but now it has become more complex, more expensive, and requires much more time to achieve breakthroughs and make new discoveries, said Ivan Moiseyev, scientific director of the Moscow Space Club. The Rosetta space probe and NASA’s interplanetary New Horizons probe took around 10 years to reach their targets. According to Moiseyev, manned space flights, planetary exploration, and space telescopes bring no direct economic benefits. The main driving force behind these projects is mainly public interest in the study of the universe. However, the economic opportunities of BRICS member states lag significantly behind the United States. “In the foreseeable future, the partners in this bloc will be developing projects in the field of applied astronautics, that is, the use of satellites for the needs of their economy and defence,” said Moiseyev. “Co-operation will be determined by commercial necessity”. 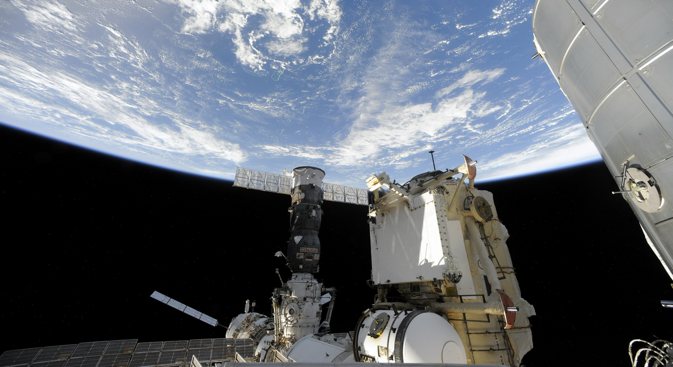 BRICS Space Station: utopia or a real possibility? If the bloc wants to make waves in the space sector, it will need some visible and significant projects. However, the creation of a joint international space station is out of the question, feels Moiseyev. He recalled that until 2025, Russia would be focusing on the ISS, and China has plans to develop its own small space station by 2024. Other projects may be more promising. For example, Russia is now seeking to replace Ukraine in its joint project with Brazil to build the launch vehicle Cyclone-4. It was assumed that this rocket would help launch satellites into low and medium-height orbits around the earth. Under this project, Ukraine had promised to build a launch vehicle and a launch pad. Originally, plans called for the first launch to take place in 2006, but this rocket was never built. This year, however, Brazilian authorities announced their refusal to join the project. Russian Deputy Prime Minister Dmitry Rogozin said in late July that Russia had offered various options for cooperation. “We already have several GLONASS stations in Brazil, and we have ideas on how to help Brazil, in terms of the development of launch sites,” said Rogozin. The most successful joint programme among BRICS countries is the Sino-Brazilian program involving development and launch of satellites. In mid-July of this year, a satellite to study the Earth’s natural resources was officially launched. This was built jointly by the Chinese Institute of Space Technology and the Institute of Space Technology of Brazil. Many other joint programmes have not been so successful. For example, cooperation between Russia and China has been tainted by an unsuccessful attempt to send a small Chinese spacecraft to Mars. In 2013, cooperation on the joint India-Russia lunar exploration project ‘Chandrayaan-2’ came to an end, with the Indian authorities saying they would go it alone on this project. Development of cooperation is difficult also due to the fact that Russia and China are competitors in providing spacecraft launching services. “For Russia, the developing countries present a very promising market, but China is very active here as well,” said Moiseyev.